More severe weather is expected a day after storms across eastern Colorado brought heavy rain, hail, tornado warnings and damaging 70 mile per hour winds to the region. The National Weather Service is predicting thunderstorms producing up to two-inch hail and wind gusts up to 70 mph for parts of the region Saturday afternoon. 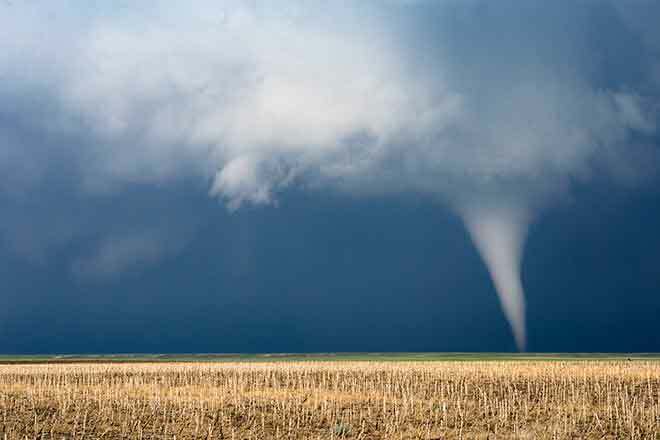 While the risk for tornadoes is low, the Pueblo NWS office calls out Kiowa and Prowers counties in southeast Colorado as being at risk for isolated tornadoes. 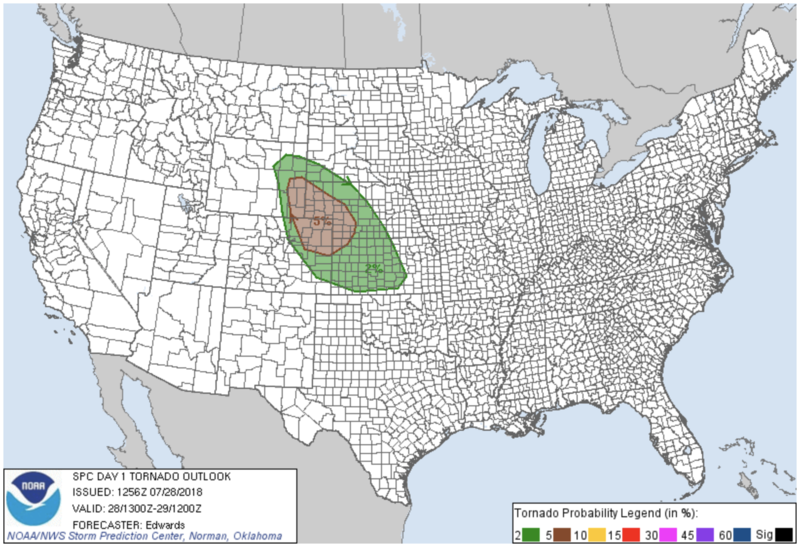 Storms are expected to begin over mountain areas by early afternoon and spread to the eastern plains around 6:00 to 8:00 p.m.
Northeast Colorado is also risk for severe thunderstorms and tornadoes, though the potential is not as significant as Friday. Golf ball-size hail and strong, damaging winds can be expected later in the day. Temperatures in the low 80s are forecast for the northeast quarter of the state, and upper 80s in the southeast. The potential for storms continues Sunday.